Whether heading deep into the jungle or across the African savanna, a safari can be the ultimate adventure. There are animals to spot, tracks to identify, and maybe even some dangers to avoid! Below are some of our favorite children's books that make the excitement of a safari available to the adventurous reader anywhere, anytime. We really enjoyed this book. It has great rhymes. It isn't a usual story that tells you what you will see on a safari, but takes you on an adventure in this little boys jeep as he drives through his adventure. Bedtime becomes a jungle safari until the Big Safari Ranger brings it to a halt. Eight slide-&-play pages feature puzzle pieces that never fall out and are safe for children of all ages. Toddlers will delight in discovering different animals and creating endless new designs. Go on safari with this slide-&-play book for toddlers! I am a big fan of Katie Wilson's illustration style and enjoy it in this playful book that allows young readers to explore the textures of an African safari. Soft. Rough. Bumpy. Smooth. Textures are all around us and all through this innovative board book. Latest in the Montessori inspired Discovery Concepts series, Textures takes us on an African safari where we also learn about safari animals in this cross-concept enhanced board book. Caregivers will enjoy the tactile teaching and all children will love the discovery in Textures. This unique counting book introduces young readers to African safari animals, plants, and landscape in Tanzania. As the group of friends wanders the grasslands counting animals, the text also teaches readers how to count to ten in Swahili. As a bonus, facts about the featured animals, a pronunciation guide, and information about Tanzania and the Maasai people is included at the end. Follows a Tanzanian family through the African grasslands as they count the animals they see, from one leopard to 10 elephants, and includes information about Tanzania and Swahili names and numbers. Reprint. On a visit to the Dinosaur Wildlife Park, Bizzy Bear discovers some interesting footprints. Where do they lead and to which dinosaur do they belong? Another exciting adventure for the world's most intrepid bear! This board book uses photographic images to show these darling animal babies in their natural habitat. Little fingers can easily learn how to move the sliders to reveal four favorite safari animals and their names in this interactive board book. Wee Gallery range This stunning new range of books for pre-schoolers marries fresh design with engaging educational content. The result of a partnership between Wee Gallery and QEB Publishing, the beautiful illustrations, high contrast black and white bold lines, whimsical animals, and repeating patterns are designed to stimulate visual development in young infants. Family-run Wee Gallery have over 10 years experience in graphic design and education, and so these books are guaranteed to excite and engage little minds. QEB is pleased to announce that this visually stimulating series will be available from Spring 2016. A charming new picture book from the bestselling creators of The Gruffalo and Room on the Broom! Who's that singing on the savannah? It's the top-five ugly animals in Africa! The wildebeest warthog vulture hyena and marabou stork swagger proudly across the savannah rejoicing in their ugliness - and delighting their babies who think they're perfect just the way they are. Inspired by the real-life Ugly Five safari animals Julia Donaldson and Axel Scheffler's brand-new picture book is a jubilant celebration of animals who are often rather unloved. The funny heart-warming rhyme is a joy to read aloud while bold comical illustrations bring the savannah spectacularly to life. Grab your binoculars and follow me. Let's travel far away on a wild safari. There are lots of fun trails! Many sights to see! As we hike, hike, hike, on this wild safari. Cumulative text describes the interdependence among the plants and animals of an African savanna. What do you get if you cross an elephant with a lion? Why, an elephon. And a zebra with a crocodile? A zebodile, of course! A very silly but absolutely compelling book that will charm the whole family. What do you get if you cross an elephant with a lion? Why, an elephon. And a zebra with a crocodile? A zebodile, of course! A very silly but absolutely compelling book that will charm the whole family. Children will love this entertaining Alphaprints board book, with kooky characters to meet, fun rhymes to read, and novelty googly eyes to jiggle. With funny illustrations on every page, these friendly safari critters are sure to make toddlers giggle! The raised embossing on each illustration adds an engaging touch-and-feel element to each page—great for little hands to explore. Alphaprints is a bestselling series of books featuring images made from fingerprints and photographs of everyday things. Other titles in the series: Happy Dog and other furry friends, Quirky Bird and other feathered friends, Silly Squid and other fishy friends, Curious Cat and other fluffy friends, and Rocky Raccoon and other safari friends. 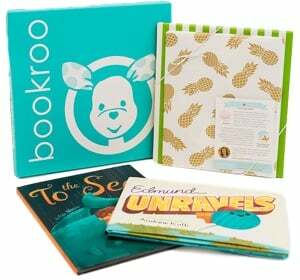 The nestled books show the baby animals matched with their parents as they describe the physical characteristics of the young. This book takes you through the Savannah and shows you many of the animals that live there. It includes pop out animals to play with and a playmat to have your own adventure! Young readers are invited along on an African safari where they can see elephants spraying, lions playing, and hippos soaking. Explore a new and exciting way to learn about safari animals with this Slide-N-Reveal book. You'll see colorful images appear before your very eyes with the turn of a wheel. Learn fun facts about each animal and discover hidden images throughout each page. Kids will love this fun and interactive format and learn about safari animals along the way. Visiting Africa with the Cat in the Hat, Nick and Sally meet an amazing variety of animals including giant cats, elephants and giraffes while learning an array of interesting facts. TV tie-in. In Let's Explore Safari, things are about to get really wild! Join your guides on a jeep safari in Africa, and keep your eyes peeled for some incredible animals. Spot the big five, discover who's drinking at the waterhole, find out about some true animal superheroes and loads more. An African adventure awaits. Let's explore! Travel alongside the author and share in in these exciting, magical and sometimes dangerous experiences. Whether it's being eye-to-eye with a 4-ton elephant, a confrontation with a fourteen foot crocodile, or a wild cheetah close enough to pat. Or maybe it's a close call with an angry rhino. Join the author as he embarks on his first African safari where all of the above (and more) occurs. Hal and Roger Hunt have a problem: big game poachers threaten to wipe out the inhabitants of the world's largest national park. Although they capture a band of poachers red-handed, they have no idea who the leader, the elusive 'Blackbeard' is. Time is running out - they must find a way to stop him before the park is destroyed. . .